About 28 people across the U.S. die in fatal car crashes everyday caused by an alcohol-impaired driver, reports the Centers for Disease Control and Prevention, with one person dying every 53 minutes. When it comes to alcohol-related crashes, the country spends about 44 million dollars in costs. The statistics are alarming but they continue to rise every year, with alcohol-related incidents involving teen drivers. In fact, car crashes were the leading cause of death for U.S. teenagers, with 2,163 teens in the U.S. killed in 2013, those between the ages of 16 to 19. In addition, there were 243,243 treated for related injuries sustained in the accidents. According to that count, about six teenagers die every day because of car crashes in the U.S. Teens or not, drunk driving remains a serious problem. If you do find yourself involved in a drunk driving accident, you’ll need to deal with fines, loss of your driving privileges as well as jail time. It’s a very costly affair and without the proper help, you could get charged with sky-high Driving While Intoxicated or DWI penalties. Hiring the services of a DWI attorney in NJ should be on top of your list. 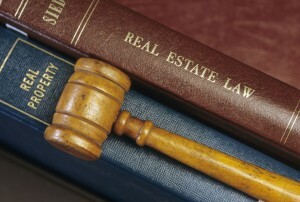 With a professional who knows how the legal system works, you can have the best representation in court possible. It won’t let you get off scot-free, but at the very least, you can look forward to getting lower DWI penalties than you would’ve had without the help of your lawyer. Driving under the influence is illegal and unsafe, so you’ll likely end up with thousands of dollars in fines alone. Then, there are court costs as well as lawyer fees you’ll have to consider. The best way to protect yourself from all this is simple, though: just never drink and drive.